Privé, managed by DAMAC Maison Hotels & Resorts, is the quintessential urban retreat for those who desire the perfect balance between the warmth of home and the service standards of a world-class hotel. From the moment you enter the elegantly styled lobby of the hotel apartments, you’ll experience exceptional service from a team of consummate professionals. Valet parking and our 24-hour concierge ensure everything comes together in perfect accord. Our luxury hotel apartments exemplify Dubai’s glamorous lifestyle. The superior services of a hotel are combined with the familiar comforts of home to create an unmatched way of life. The best of both worlds, you can enjoy exceptional benefits when you’re in residence and premium returns from DAMAC Maison's unique rental pool when you’re not. 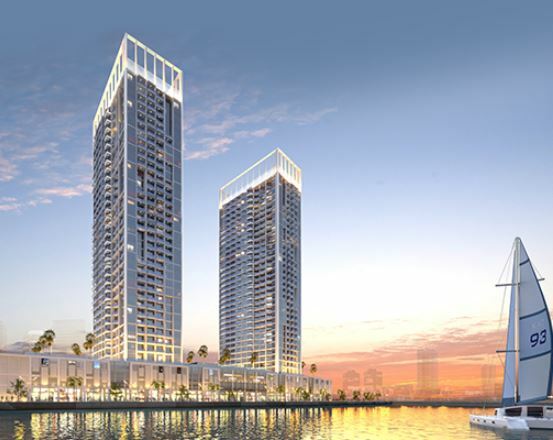 Set in the illustrious Burj area on the water’s edge of Business Bay's marina, DAMAC Maison Privé offers breathtaking views of the neighbourhood and its fascinating skyline. Within walking distance is a glistening strip of restaurants, cafés and shops overlooking numerous yachts and water-based activities.